The 38th annual UP Health System Great Bear Chase is almost here! Conditions are looking great, with a packed base of 26” on the course and great temperatures leading up to Saturday, March 10th. Online registration will be open until midnight on Wednesday, March 7. Last-minute registration will also be available at the Calumet High School from 4-8:30 p.m. the day before the race. Registration will not be accepted on race day. To register now, visit http://www.greatbearchase.com/registration/. 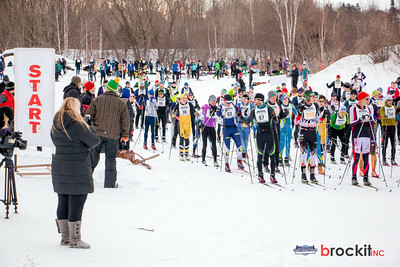 The 2018 Great Bear Chase will feature seven races: 50 km Skiathlon, freestyle and classic 50 km, 25 km and 10 km races. Return of the 50 km Skiathlon - the 50km Skiathlon features a combined competition of 25 km of classic skiing followed by 25 km of freestyle skiing. 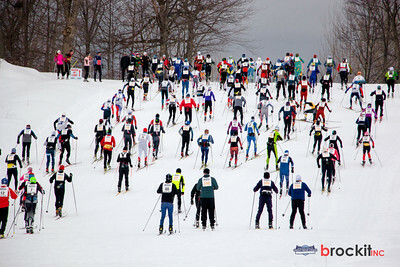 The Great Bear Chase 50km Skiathlon is part of the CXC Marathon Cup. Handcrafted awards – a tremendous amount of time and effort has gone into the creation of numerous race awards. Over 100 wood carved skis will be given to 1st place finishers in all age groups. Unique copper awards will be given to overall male and female winners of each race in addition to other top finishers in the 50K Freestyle. To see a detailed breakdown of the age groups visit our race guide at http://www.greatbearchase.com/race-guide/. Swix hats – all participants will receive a cool 2018 Great Bear Chase Swix hat.